Yesterday’s launch of the iPad mini marks the first time in Apple’s history that the technology giant is playing catch up to its competitors, according to an analyst. In the past, Apple has defined new products with new form factors and waited for the market to follow, Leach notes, whereas in this instance it’s following the market trend towards smaller cheaper tablet form-factors. “This reflects a fundamental change in the way Apple operates. Apple is assuming that a lower cost iPad will allow them to sell sufficiently more units to offset the dilution in active server pages (ASP) that a cheaper device is likely to cause,” Leach adds. James Hilton, Global CEO M&C Saatchi Mobile, which launched locally this morning, says brands are merely scratching the surface of the enormous potential smartphones and tablets offer in terms of consumer engagement. “Tablet usage in Australia is growing at an explosive rate with penetration set to be 39% by the end of the year, more than double what it was at the end of 2011,” Hilton says. The recent introduction of 4G in Australia and the ongoing roll out of the National Broadband Network will take the user experience on mobile and tablet devices to new heights, Hilton predicts. Globally, shipments of tablets is expected to exceed 130 million units in calendar year 2012, rising to 349 million units in calendar year 2017, according to Ovum’s figures. 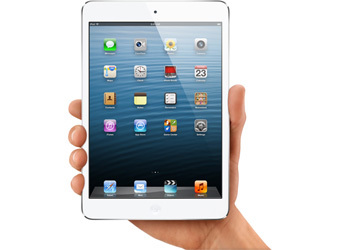 The iPad is expected to comprise 54% of the market by the end of 2012, compared to 35% for Android-based tablets.